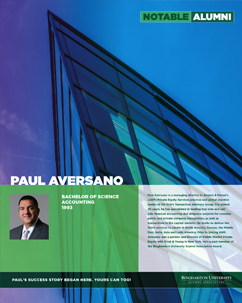 Paul Aversano is a Managing Director in Alvarez & Marsal's Private Equity Services practice and the Global Practice Leader of the firm's Transaction Advisory Group. 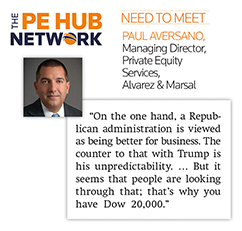 Paul Aversano is a Managing Director in Alvarez & Marsal’s Private Equity Services practice and the Global Practice Leader of the firm’s Transaction Advisory Group. For over 20 years, Mr. Aversano has specialized in leading both buy-side and sell-side financial accounting due diligence projects for complex public and private company transactions, as well as transactions in the capital markets. As the Global Practice Leader of A&M's Transaction Advisory Group, Mr. Aversano works to deliver the firm’s services to clients not only in North America but throughout Europe, the Middle East, India, Asia and Latin America as well. He leads the group's efforts in the cross-border delivery of services to both private equity firms and strategic buyers around the world. Mr. Aversano has assisted numerous private equity firms and strategic buyers across a wide spectrum of industries. He specializes in providing accounting and transaction structuring advice for leverage recapitalizations, purchase accounting and SEC reporting, assessing quality of earnings, and GAAP accounting. He critiques financial models and reviews target companies' financial performance to identify cost reductions and / or operating efficiencies. He also brings extensive experience to legal counsel, including expert technical accounting guidance for purchase price arbitration and related analysis and support of purchase price adjustments. He has worked with management teams of private equity-backed portfolio companies to complete add-on acquisitions and direct platform investments. 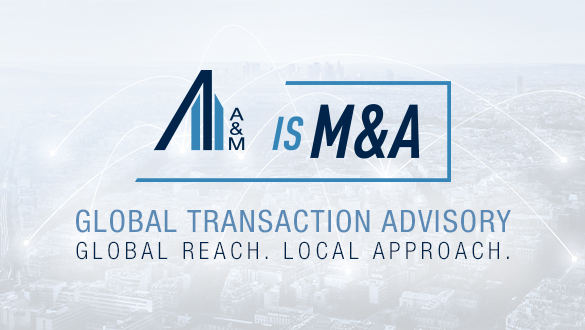 Alvarez & Marsal Global Transaction Advisory Group delivers maximum value in every deal through our combined deep operational, functional & industry expertise and Big-Four quality financial accounting & tax services. 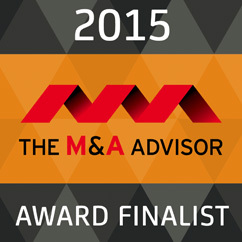 Providing service excellence with a global reach and local approach: A&M is M&A. 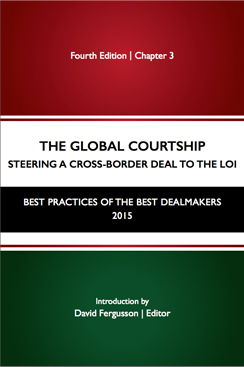 Discussing the Chinese economy and global M&A in the Asia region, I share my private equity insights on Yahoo! Finance with hosts Julie Hyman & Adam Shapiro. Watch the full “On the Move” segment here. With Fox Business hosts Melissa Francis & Connell McShane, I give my industry perspective on the current global events: from the Tesla Model 3 announcement’s impact on the stock market to Huawei Technologies’ open letter to U.S. media. Watch our After the Bell moments here. I had the opportunity to join Carol Massar and Jason Kelly on Bloomberg Radio, where I provided my point-of-view on the private equity market, how it has been impacted by geopolitical issues in Q1 2019, and the outlook for the rest of the year. Our full discussion on “Bloomberg Businessweek” can be heard here. I joined Bloomberg Radio’s Carol Massar & Jason Kelly on Businessweek to discuss the dealmaking cycle, including the current “Vortex of Volatility” and trends in the private equity space. Listen to our full interview below. Despite President Trump’s pro-business policies, the potential for gridlock in Washington is weighing on financial markets. Here I sit down with Melissa Francis on Fox Business’ After the Bell to discuss how uncertainty is creating market volatility heading into the midterm elections. From technological disruption to an abundance of dry powder, there are several factors playing a major role in 2018’s record-breaking M&A activity. To hear my PoV on this topic, watch my conversation with host Oliver Renick on TD Ameritade’s Morning Trade Live below. As our Global Alvarez & Marsal team rapidly grows throughout the Middle East, we note the M&A trends in India & the UAE. 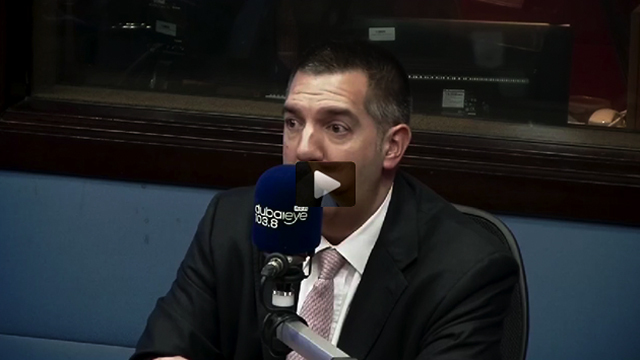 I recently had the opportunity to share this on Dubai Eye 103.8’s Biz Breakfast with hosts, Richard Dean and Brandy Scott. Watch the full interview here. Here I discuss how Brexit uncertainty and foreign investments are among the critical factors impacting cross-border mergers & acquisitions activity and how these will shape the 2018 private equity global landscape. Here I give insight on key factors such as tax reform and technology disruption influencing US mergers & acquisitions and how these will affect the private equity industry in 2018. I had the wonderful opportunity of ringing Nasdaq’s closing bell on stage at the 2017 Milken Institute Global Conference. Watch the full video here. Ringing in the record Nasdaq closing bell at the 2017 Milken Institute Global Conference was a moment to remember! Check out the view from New York’s Times Square here. Here at Alvarez & Marsal, our Transaction Advisory Group takes a personal stake in the clients’ needs and successes. 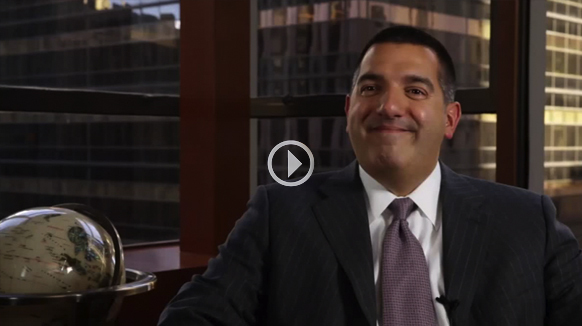 I discuss in this A&M’s Signature Series video our differentiating factor of how we value building client trust and maintaining relationships, as well as adding an element of fun and engagement, in every partnership we cultivate. I had the opportunity to join Carol Massar and Jason Kelly on Bloomberg Radio, where I provided my point-of-view on the private equity market, how it has been impacted by geopolitical issues in Q1 2019, and the outlook for the rest of the year. With Fox Business hosts Melissa Francis & Connell McShane, I give my industry perspective on the current global events: from the Tesla Model 3 announcement’s impact on the stock market to Huawei Technologies’ open letter to U.S. media. Throughout 2018, M&A was driven by a multitude of factors as significant amounts of capital became available in the global financial system, making it a record year for private equity (PE) firms in the U.S. and around the globe. On Fox Business’ After The Bell, I had the opportunity to share my view on the December Jobs Report, US-China Trade Wars, the Trump Administration, and other US Economy & Financial Market updates. Watch my discussion with hosts Melissa Francis and Connell McShane below. #TBT when I was on campus last week at @binghamton..
On the way up to see the #GreatWallofChina with my..
Are take-private buyouts worth the risk? | PitchBo.. Copyright © 2019 Paul Aversano | All rights reserved.